The Breakers condo, beach resort home in Orange Beach. Large, newly remodeled, Non-Smoking condo has all the amenities for a wonderful vacation experience. Breathtaking 8th floor views from the den, dining, kitchen, master bedroom and corner balcony. At night, lay in your king-size bed, and let the surf lull you to sleep. In the morning, fix yourself a cup of coffee and watch the boats as they are leaving the pass to go fishing. You can also see dolphins cruise along the beach. When you're ready for the beach, there are no long hikes here - you can't stay any closer to the beach than The Breakers. We also have other units available if you need additional space for your group. This 1200 sq. ft. condo is right across the street from three supermarkets, restaurants, discount stores, and new upscale shopping (see our map for great dining and entertainment suggestions). Minutes away from more great shopping and wonderful restaurants. 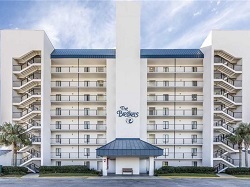 Orange Beach is one of the most popular destinations on the Gulf Coast and The Breakers is one of the most popular complexes in Orange Beach. 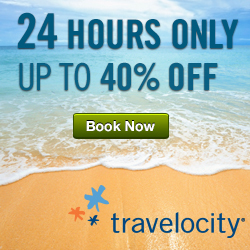 Come see why... You'll never want to leave! The Breakers Condo Rental in Orange Beach AL. Orange Beach Alabama has a year-round mild climate and is a popular family beach vacation destination on the Gulf Coast, the area offers an array of activities such as dolphin cruises, championship golf courses, charter fishing and nature hikes. Choose from national hotel and motel chains, camping or a variety of beach accommodations from private vacation rentals property management companies with huge inventories. There are numerous options for nightlife, from family entertainment to rocking roadhouses, enjoy your pick of plays, free concerts, dancing or just listening to a variety of musical genre. Enjoy the freshest seafood available at the numerous Orange Beach restaurants featuring fine-dining to laid-back local favorites. If you're looking for an Orange Beach condo or beach house - you can find it all on Alabama’s Gulf Coast.